Hey there, fashionistas! What a disappointing news day for the NFL, am I right? Well, when one door closes the runway opens! And today was fully loaded with head to toe, eye-popping garb and goodies. 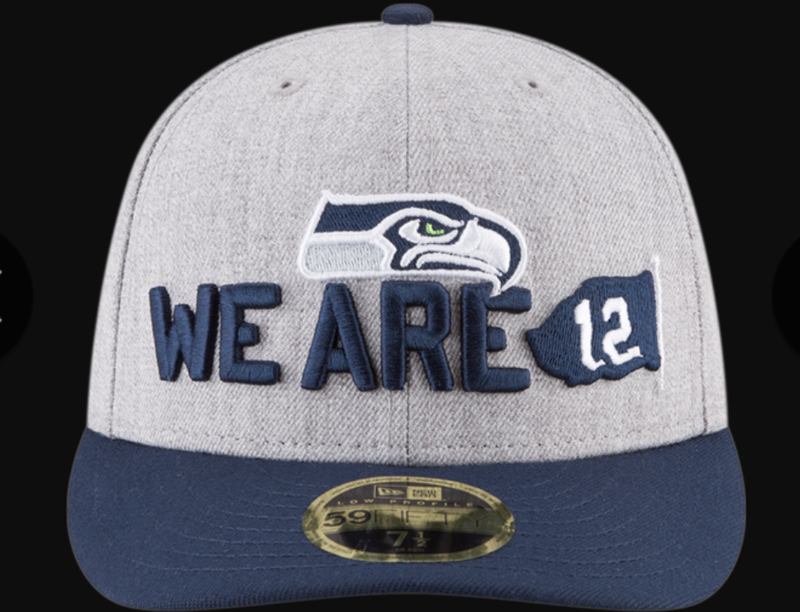 NFL fans were blessed with the 2018 NFL Draft hats first thing this morning. And I’m not sure if there’s a single fan in the NFL that’s thinking “oooo, I’ve got to get me one of those!” Have a look at the Los Angeles Rams hat — which will fortunately be handed to no one this draft. 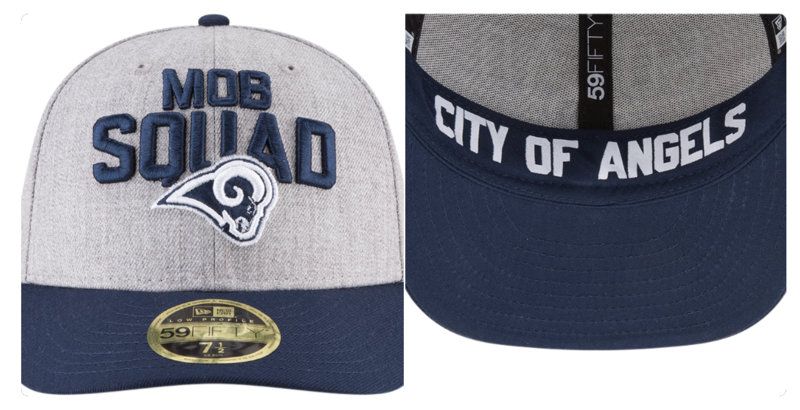 I’m of the mindset that the Rams saw these hats and traded out of the first two rounds simply so that they didn’t have force one on their newest player. No rush in grabbing one. Rest assured that there will be plenty to go around. I mean, look at this piece of garbage. Luckily, we had Twitter’s Tyler Bearde at the ready to right the fashion wrongs. He’s got some stellar Rams’ prototype helmets. I felt compared to share. After seeing this original tweet, I did a quick Google search and (randomly) stumbled upon another prototype he’d created. Have a look at a couple of chrome horn options. It was a this point that he started fielding some suggestions. He altered the chrome style above by changing the navy to the throwback royal blue look. A lot of folks were torn between the matte look and chrome horns, so Ty whipped up a matte look with the lighter blue. 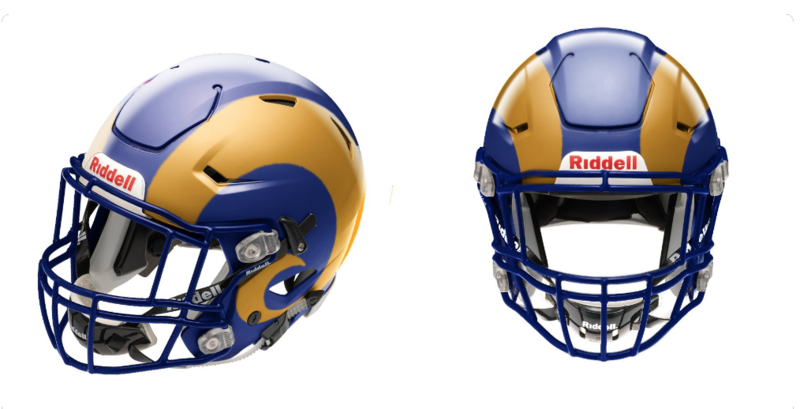 Certainly there were many that inquired about the blue with white horns – the direction the Rams appear to be going – so we’ll have to wait and see if Tyler comes through with some new alternatives. What do you think though? 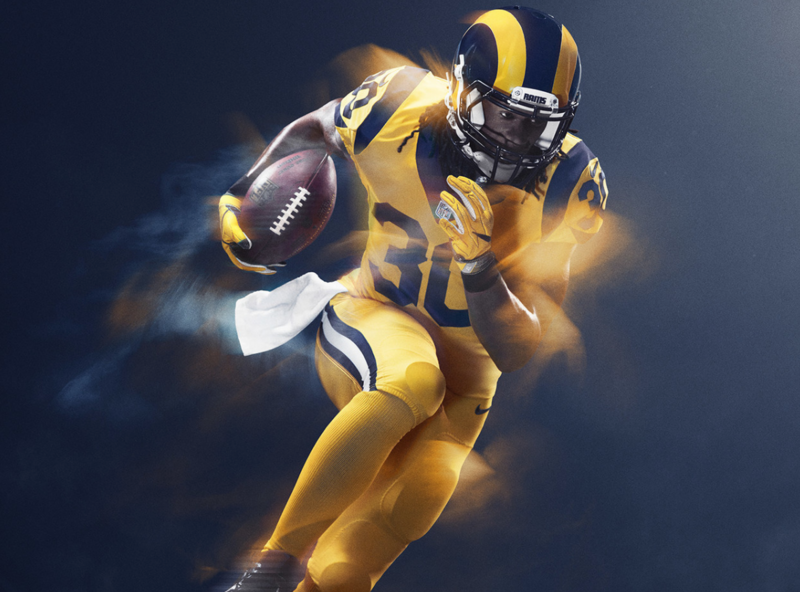 If you were a fan of the Rams’ mustard yellow Color Rush uniforms, I’m sorry to pass this along, but you may never see them again on a Thursday night. …but you may see them again. On color rush, the uniforms aren’t going away completely. It’s just that they might not be exclusive to Thursday nights anymore, sources say. Could be some other tweaks to the uniform policy as well. Also, this is subject to votes from ownership. The Rams are 2-1 when wearing Color Rush unis, though they were undefeated (2-0) in the mustard yellow-s — having defeated the Buccaneers in 2015 and 49ers in Week 1 of 2017.